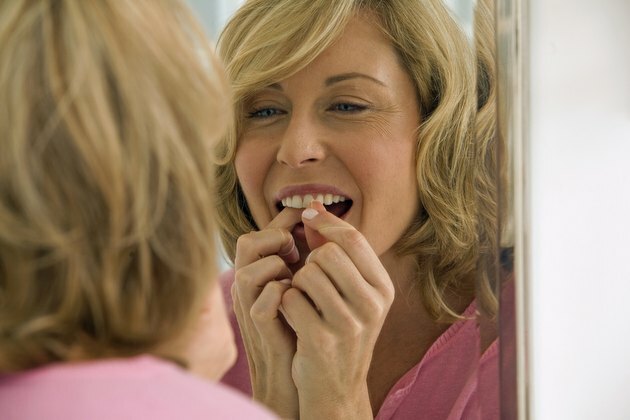 Cuts in your mouth, especially near your teeth, are often the result of vigorous flossing. Using toothpicks, eating sharp foods and wearing mouth jewelry can also cause injuries to your gum tissue. More serious mouth cuts, requiring immediate medical care, are frequently due to sports-related injuries or such traumatic events as car accidents. Cuts in the mouth heal rapidly, and in most cases no medical treatment is needed. But until your cut heals, you should eat soft foods, avoiding foods and drinks that are acidic or alcoholic. Keeping the area clean by rinsing after eating and gently brushing the affected area with a soft-bristled toothbrush is also important. For mild discomfort, rinsing a few times a day with a warm saltwater rinse -- 1 teaspoon of salt to 8 ounces of water -- often helps. And because of its healing and soothing properties, aloe vera is sometimes used to promote healing and relief of soreness. Cuts that are large and gaping, won't stop bleeding or expose the root of your tooth should be seen by a medical professional. A doctor or dentist should also examine any cut that has dirt or debris or shows signs of infection, such as drainage. Large cuts may need sutures to prevent further damage to your gum tissue and to protect the tissues on your tooth’s root. If the gum tissue is too thin to be sutured, your dentist may need to do a gum graft. 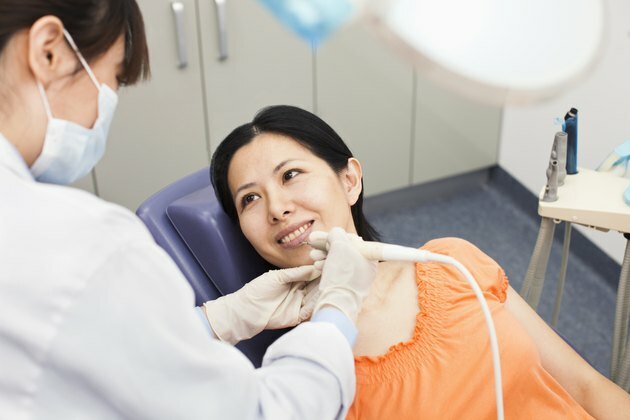 After treatment, the dentist will provide you with specific home care instructions, which may include eating soft foods and rinsing with saltwater. Peterson’s Principles of Oral and Maxillofacial Surgery, 3rd Edition; Michael Miloro, DMD, MD, FACS et al.